Devotion to Lord Krishna is the only refuge in this world, afflicted with diseases, pain and death. Insightful description of 'self' by an enlightened boy, assumed to be dumb by everyone. Dos and don'ts for a spiritual aspirant, willing to achieve unfailing progress. Description of blessed persons and their qualities we should aspire for. Illustration of what we are not to make us understand what we are. Collection of various important questions and their succinct answers. A new perspective to worship the non-dual, all pervading Absolute. 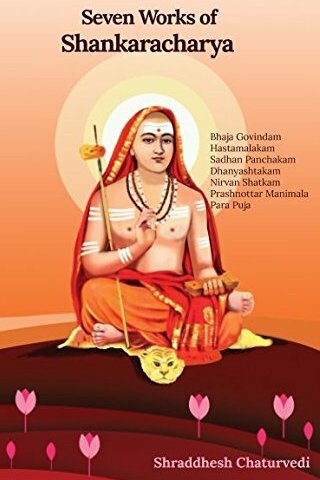 I liked this book on Shankara. The explanation is to the point and correct. Short and meningful explanation of seven short books of shankaracharya. Ancient wisdom, clear and precise! Excellent! Precision and clarity are two hallmarks of this book. The book is available in Kindle eBook as well as papreback format. Its ISBN is 978-1973563273. Shraddhesh Chaturvedi holds a degree in Integrated M. Sc. (5 years) in Physics from IIT Kanpur. He has extensively studied the Vedic philosophies over a decade. According to him, a broad Vedic viewpoint can practically address many thought level problems even today. More importantly, an enquiry to truth enhances our basic understanding about our 'self' and can light our path with bliss and endless hope.